Labels | SG Printing Inc. When you need labels to ship product or mail, SG Printing can produce rolls or sheets of self-stick labels with promotional information or your return address. From white self-adhesive paper or vinyl. 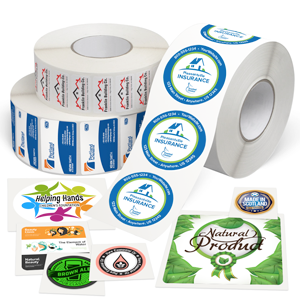 We can customize your shipping labels, bumper stickers, decals, promotional and special event stickers, window stickers, bar-coded and thermal labels, laser printer compatible labels. For labels of any shape or size loose or on a roll.